Charles Krug: Considered the oldest winery in Napa Valley, Charles Krug dates back to 1861, when its namesake started making wine there. The winery survived Krug’s passing and prohibition (barely), to be purchased by Cesare Mondavi—yes, that Mondavi—father to Robert and Peter. This was the original Mondavi winery, passed from Cesare to his sons. After family issues (for the full story on the family, a great read is The House of Mondavi by Julia Flynn Siler), Robert ventured out to open his now-incredibly-famous winery, featuring his own name, just down the road from the family-owned Krug. Peter Mondavi led Krug into the modern era by making great wines. The winery is still family owned, with Peter Sr.’s sons, Peter Jr. and Marc, at the helm. 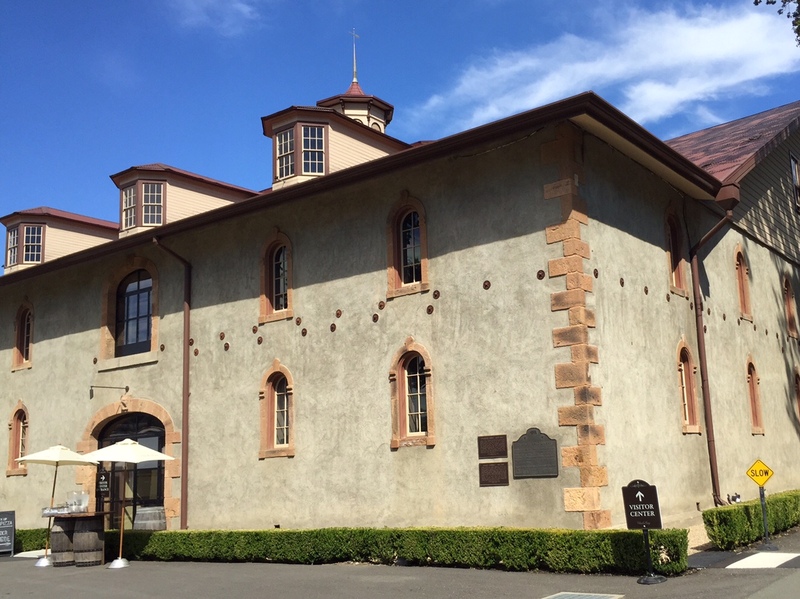 Recently, the tasting room was moved to the restored and renovated original Redwood Cellar building from Krug’s era. Vines growing at Krug's tasting room and wine making facility. Inside the newly restored Redwood Cellar at Krug Wines. The outside of the beautifully renovated tasting room, originally from Charles Krug's era. Stand out wines: 2014 St. Helena Sauvignon Blanc—Crisp, refreshing, and aromatic, this SB is a prime example of the Napa varietal. Would pair great with summer salads and seafood…or a hot afternoon. 2012 Family Reserve Generations—Classic Napa Cabernet with small amounts of malbec, merlot, and petit verdot; smells of ripe black and red fruits with soft tannins. Pair with beef and lamb. 2011 Limited Release Cold Springs Vineyard, Howell Mountain Cabernet—Cherry cola and smoky oak are common for fruit sourced from the prestigious Howell Mountain area. Sip this on its own; it is worth the price for a special occasion. 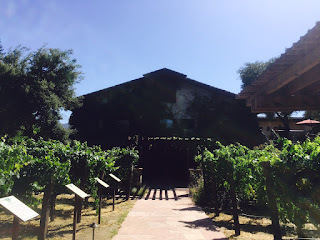 Robert Mondavi Winery: After family disagreements on business, Robert Mondavi left his family’s wine business at Krug to open his own namesake winery in 1966. 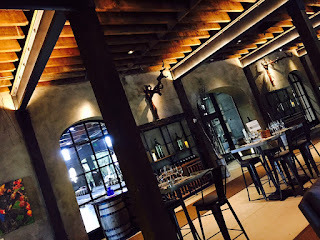 Mondavi chose the historic To Kalon vineyard (originally planted in 1868 and considered a prime Napa Valley growing area) as his location for the absolutely beautiful tasting room and facility. Though the winery itself is no longer family owned, the figure of Robert Mondavi continues to be incredibly important to what Napa is today. Mondavi truly believed in the potential of Napa Valley; he also espoused the benefits of wine and the wine lifestyle throughout his long life. Northern California and wine in the U.S. owe much to Robert Mondavi. Budding vines at the Mondavi facility. Beautiful grounds designed by Robert Mondavi. Stand out wines: 2012 Fume Blanc Reserve To Kalon Vineyard—I enjoy a great white wine in the summer, and I enjoy a Fume Blanc even more. The complexity of the oak with the sauvignon blanc's citrus fruits are refreshing to sip on a summer day. 2012 Robert Mondavi Merlot Napa Valley—Though many people (and the main character from the movie Sideways) don’t appreciate merlot, I actually do. The tobacco and earth with the baked fruit always makes me remember why I respect a well-made merlot. Serve with pork and robust pasta dishes. 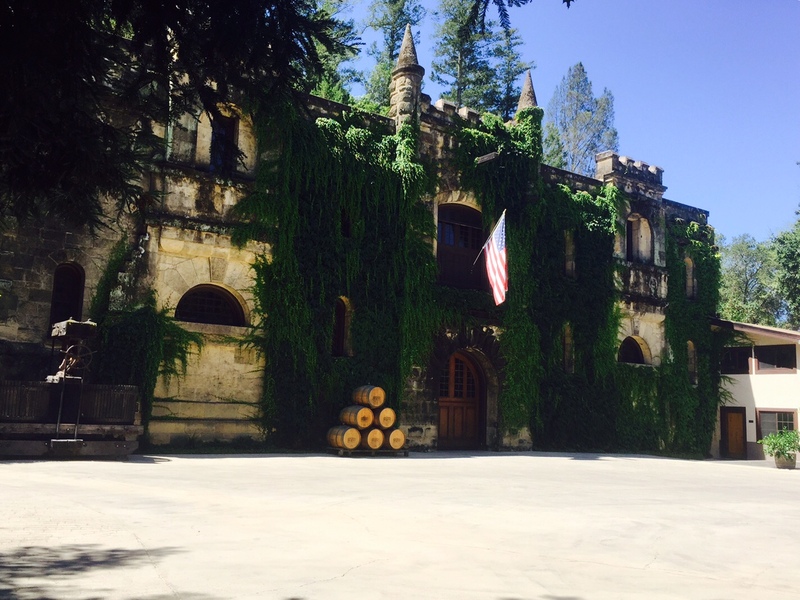 Chateau Montelena: Originally owned by Alfred Tubbs in the late 1880s, this majestic, ivy-covered stone chateau is breathtaking to look at. 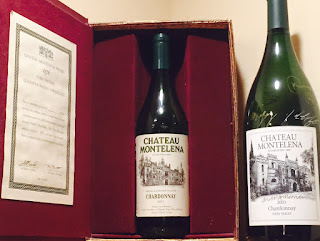 Fast forward to the 1970s when Jim Barrett took over Montelena and worked with wine maker Mike Grgich to create a wonderful chardonnay, a chardonnay so good that it won a little blind tasting competition called the Judgment of Paris in 1976. This event put California wines on the map and on par with French wines when a panel of French judges chose the Napa chard over others from France and California. (Read more about this event in the book Judgment of Paris by George M. Taber.) The winery is still owned and operated by Barrett’s son Bo and still making world-class chardonnay (and other wines, too!). Chateau Montelena, known for its chardonnay, makes great red wines too. A bottle of the historic 1973 Chardonnay, winner of the Judgment of Paris. Stunning tasting room at Chateau Montelena. Stand out wines: 2012 Napa Valley Chardonnay—No longer made by Mike Grgich, but still a wonderful example of the varietal. Richness from the oak comes through in mouthfeel and subtle butter flavors. Sipping it made me want an alfredo sauce…now! 2012 Montelena Estate Zinfandel—Great acid and fruit, yet delicate on the palate, leads this wine to a lasting finish. Not your typical zin, but better in many unique ways. Will pair with many different foods from salmon to chicken to pork. 2011 Montelena Estate Cabernet—Another California cab that is worth the price. 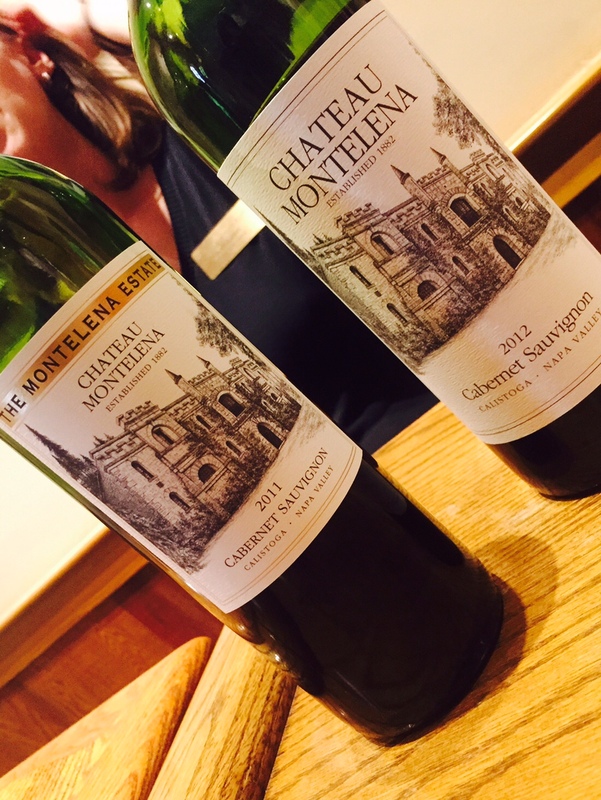 As with the other Chateau Montelena wines, the acid keeps the wine from being flabby. Amazing fruit and potential for some cellar aging. Pair with a juicy beef ribeye. 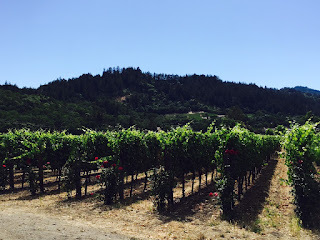 Grgich Hills: Miljenko “Mike” Grgich made his name making wines for others, but after the 1976 Judgment of Paris, he set out to make wine under his own label. 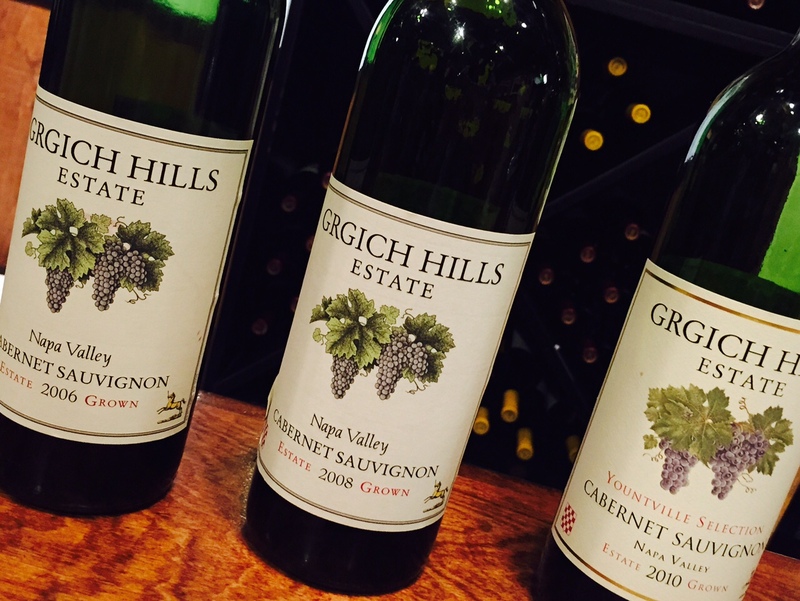 With the help of the Hills family (think Hills Brothers Coffee), Mike opened Grgich Hills in 1977 and has been making great wine in the center of Napa Valley ever since. In fact, well into his eighties, Mike is still involved in the wine making there and enjoys coming into the facility regularly. Grgich Hills tasting room in central Napa Valley. 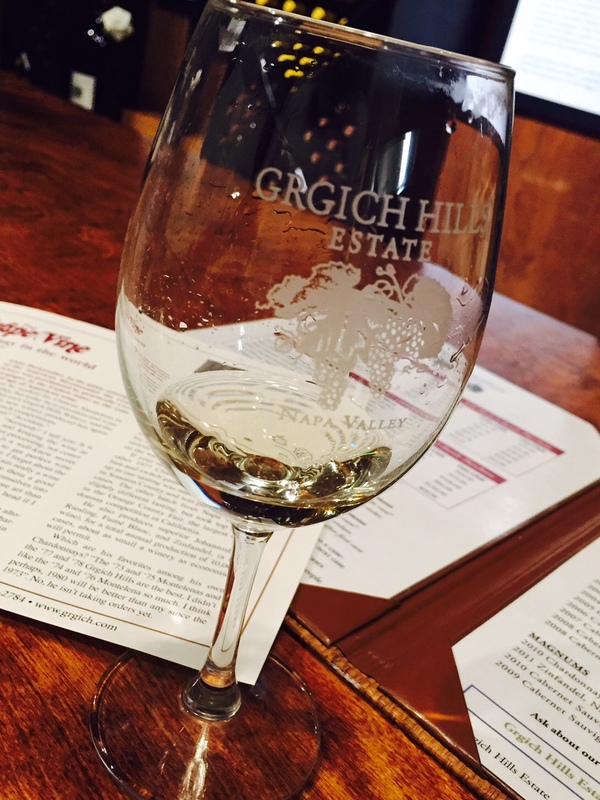 Grgich Hills Chardonnay, made in the style of the 1973 Judgment of Paris winner. Stand out wines: 2013 Miljenko’s Selection Napa Valley Essence Sauvignon Blanc—Sourced from southern Napa regions, aged in oak, and matured on the lees, this is an incredibly smooth and complex SB. Serve with seafood and cheese. 2012 Grgich Hills Paris Tasting Commemorative Chardonnay—Yes, it seems cliché, but this chardonnay is a great example of the what the grape can be in bottle. Rich and smooth, yet with good citrus and acid. Pair with pastas, cream sauces, or brie cheese. 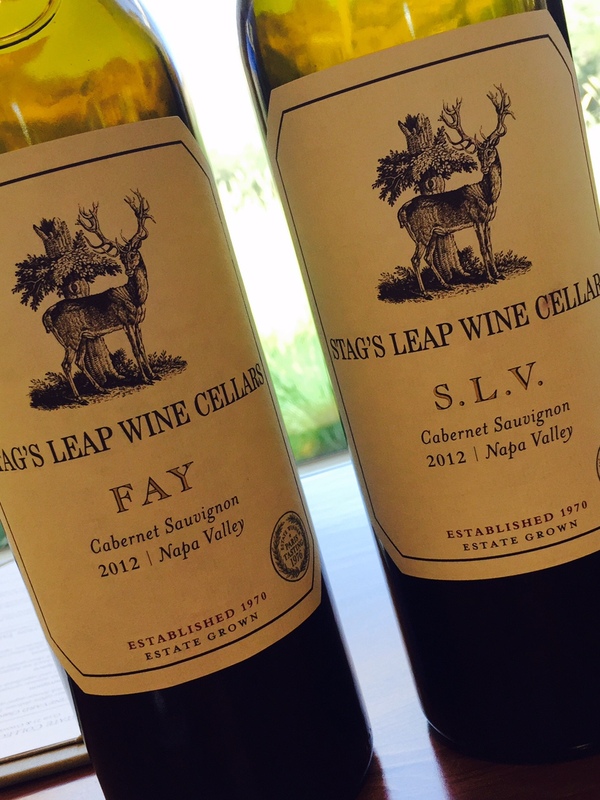 Stag’s Leap Wine Cellars: Nathan Fay planted the first vineyards in this area, named for the rock promontory that juts out over the hillside. 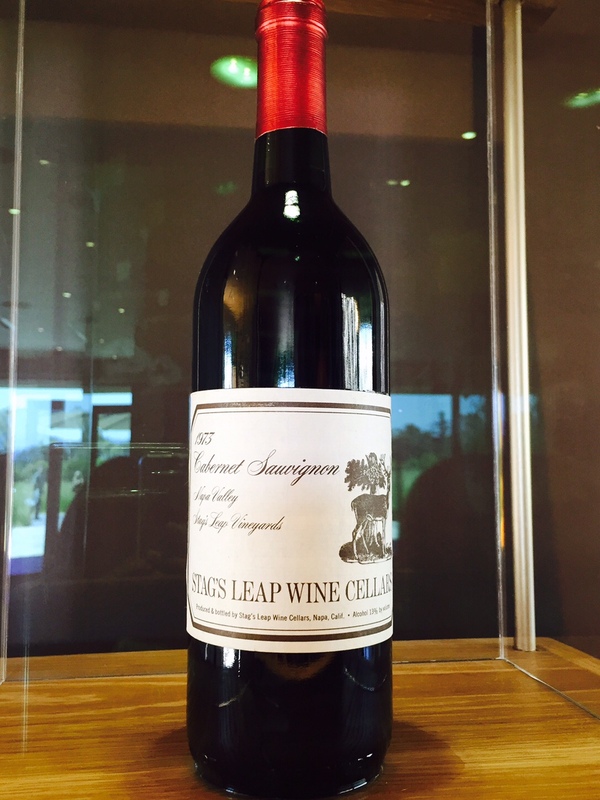 Legend says that a stately stag leapt from one side of the outcropping to the other, hence “Stag’s Leap.” Warren Winiarski made wine from Fay’s planted grapes, and Winiarski's 1973 Napa Valley Cabernet was one of the California wines entered in the 1976 Judgment of Paris. In the end, Winiarski’s cab beat out some of the most respected French producers to land the double win for Napa wines in the competition; this cabernet meant California took both the white and red top honors. The beautiful, modern facility still overlooks Fay’s original vineyards and the legendary rock. The wines remain legendary too. Stag's Leap Wine Cellars stellar cabernet options. The rock promontory across which the legendary stag leapt from point to point. 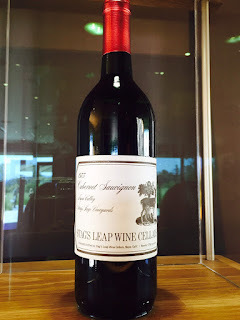 Stag's Leap Wine Cellars' winning 1973 cabernet. Stand out wines: 2012 Artemis Cabernet—This is the wine that keeps Stag’s Leap Wine Cellars’ lights on…almost literally. Making up over 70% of the production and easy to find around the country, it is worth mentioning because it is a great Cabernet at a decent price. 2012 Fay Cabernet Sauvignon—From the original Fay block of cab sauv grapes (and others planted since), this is a deep, dark, and dense cabernet with smooth tannins and a lengthy finish. Pricey but would be perfect for a special occasion. History may have a way of repeating itself, and with the above wineries, the repetition comes in the form of excellent wines, vintage after vintage. There is a reason these producers were historically important decades ago. There is also a reason these producers are still relevant—they continue to raise the bar in the region, making some of the best wine in the United States. 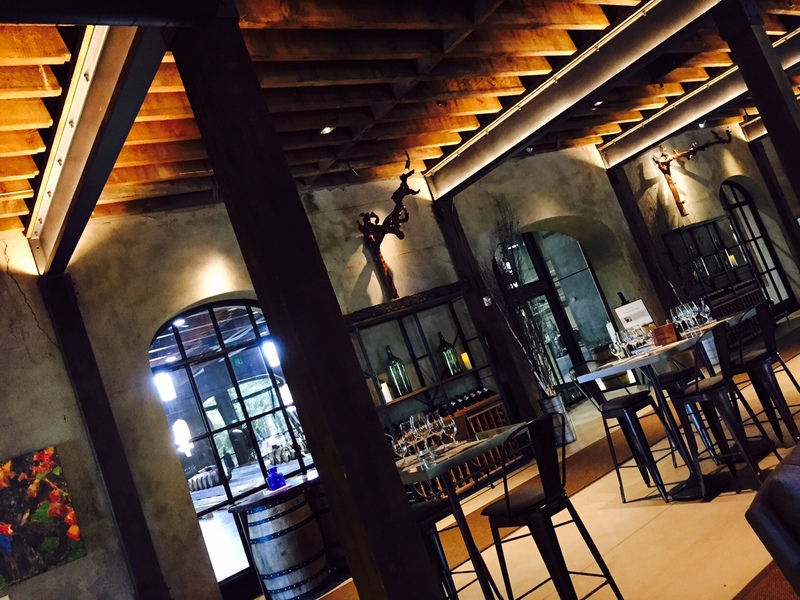 Worth learning and reading about, all of these tasting rooms offer examples of outstanding wines, but they also offer a glimpse into Napa’s past, a past worth repeating in the years to come.